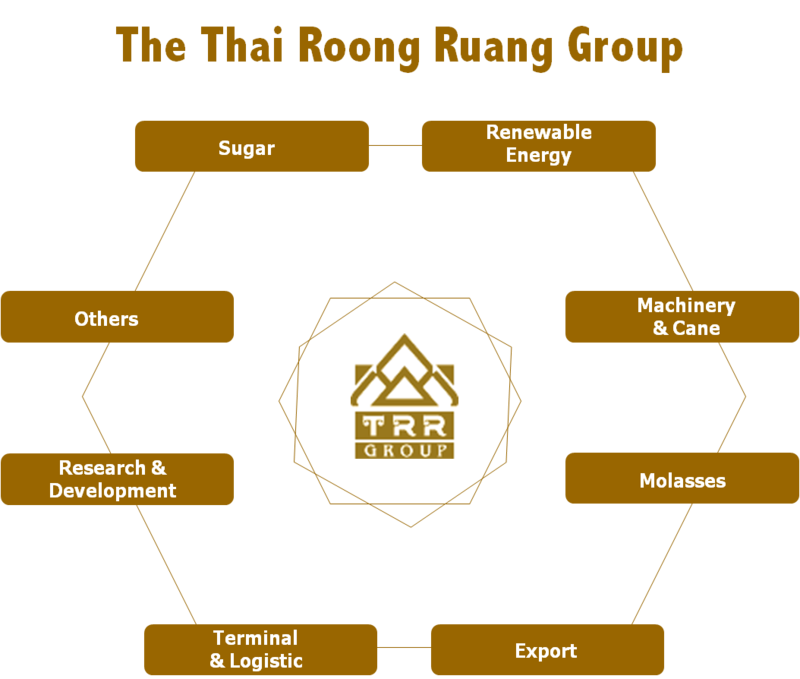 The Thai Roong Ruang Group of Companies ( TRR Group ) has started the sugar business since the end of the Second World War. During that period, Thailand was confronting with a sugar shortage crisis, and thereby the private sector was encouraged by the Government to set up sugar factories in order to tackle the crisis. Due to the high costs of imported machinery and equipment, Mr. Suree Asadathorn, locally known as “Thao Kae Lin” and externally named as “Thailand’s King of Sugar”, successfully invented the equipment for sugar production by his own knowledge and skills in steel lathing without the need to import any machinery and equipment from abroad. With his patience and perseverance, the first sugar factory, called Ruam Kam Larp Sugar Factory (i.e. 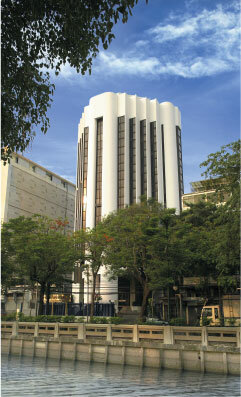 Ruam Kam Larp Co., LTD.) was successfully founded on 7 May 1946, located at soi Prompong, beside Saen Saeb canal in Bangkok. This sugar factory is widely acknowledged as the first private-owned sugar factory in Thailand. Over the past 70 years, the TRR Group has continually engaged in various business activities, including research, invention, modification and improvement for the better efficiency of machinery and equipment in our production process, and thereby the better sugar quality for our customers. Nowadays, the TRR Group is known as the leading sugar manufacturer and exporter of Thailand. The TRR Group has also expanded our core business to other related business areas, which include the ethanol business, the biomass power business, the machinery business, the river wharf and warehouse business. With the TRR Group’s strict quality control and the ongoing commitment to creatively learn and technologically develop for its continuous product quality, our sugar business, marketed under the local brand , has grown firmly and consistently. TRR Group have been widely recognized as the leader in sugar industry and gained trust from both domestic and international customers and traders. 1. Thai Roong Ruang Industry Sugar Co., Ltd.
2. 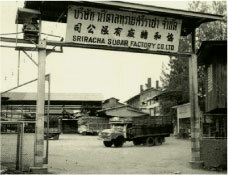 Saraburi Sugar Co., Ltd.
4. Baanrai Industry Sugar Co., Ltd.
5. Phitsanulok Sugar Co., Ltd.
6. Thai Sugar Industry Co., Ltd.
8. Thai Multi-Sugar Industry Co., Ltd.
9. Cholburi Sugar & Trading Corp., Ltd.
1. Siam Sugar Export Co., Ltd.
1. Thai Roong Ruang Energy Co., Ltd.
1. Ruamkamlarp Power Co., Ltd.
2. Baanrai Electricity Generating Co., Ltd.
1. Thai Roong Ruang Manufacturing Co., Ltd.
1. Thai Roong Ruang Molasses Co., Ltd.
Thai Ruam Toon Warehouse Co., Ltd.
Thai Roong Ruang Research & Development Co., Ltd.
1. 108 Leasing Co., Ltd.